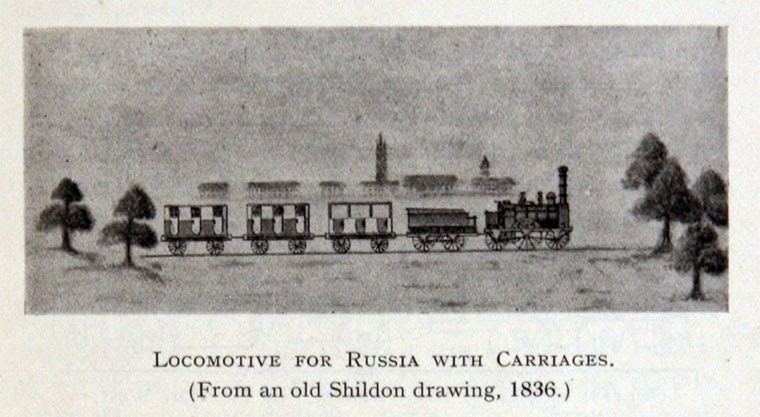 If Shildon is known for anything it is its contribution to the history of the railways. If you’re not sure what I mean, then look it up. We’re talking about the 1820s and 30s here, of course – the very earliest days of the industry proper, when a certain Mr Timothy Hackworth was the main man in these parts. I’m sure you’ll have heard of him. You may also have heard of the Stockton & Darlington Railway, which hosted the very first passenger steam railway journey on 27th September 1825. The workshops for this company (the Soho Works) were at Shildon, and it was Hackworth who was very much the man in charge at this famous establishment. The North-East of England didn’t only give railways to the UK, of course, but it gave them, in turn, to the world. There are many examples of this proud boast, but two notable cases (at least) are linked directly with the Shildon plant. For both Russia and Canada have this modest County Durham town to thank for the founding of their rail networks. 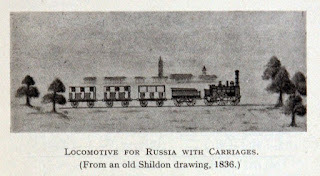 Russia came knocking in 1835 when they needed a steam locomotive to make their very first railway line, from St.Petersburg to Tsarskoye Selo, viable. It was built to the standard designs of the day, then, remarkably, Hackworth put his sixteen-year-old son, John, in charge of operations. And, despite the huge logistical problems of transporting a loco 1,600 miles across land and sea and getting the engine up and running, the young man completed the task successfully. By the late summer of 1836, with the engine fully operative, the youngster was being praised from all quarters, including a very pleased Tsar Nicholas I. The General Mining Association of Nova Scotia, Canada, then came along in 1838, and placed an order for three engines. These were the first contraptions of their kind to run in British North America, being shipped out in the spring of 1839. 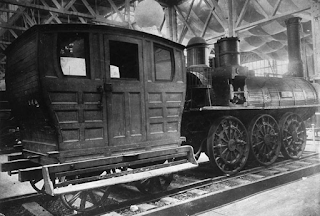 The very first loco was named Samson, and ran from its inaugural journey in the autumn of 1839 until 1882 – and it still survives to this day. Amazingly, its driver throughout its working life was a Shildon employee of Timothy Hackworth’s, George Davidson, who emigrated to Nova Scotia with the engine. The Samson, pictured above in days of old together with its very first passenger coach, is now on display at the Nova Scotia Museum of Industry. It is one of only three surviving locomotives designed by the great Timothy Hackworth (the others being Derwent and Sans Pareil).